Hi-Rez Studios finally soft launched their competitive MOBA title Paladins Strike [Free]. The game is based on the popular first person shooter called Paladins: Champions of the Realm. While it is interesting to see FPS titles transform into another genre, it is not unusual. 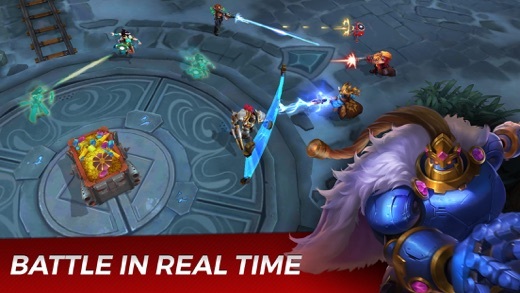 In this case, Hi-Rez Studios successfully developed a fascinating eSports mobile game that features 5vs5 battles in real-time. The game provides more than 15 champions to choose from, each with unique abilities. There are also multiple modes that can change the way you implement your strategy in the game. As of now, the game is soft launched in countries like Australia but will go global soon. You can check the trailer for this game below. ← G FUEL Sale – Get 40% Off Your Purchase (From October 25th – 31st)!